In the rural village of Agatu, in north central Nigeria, someone had successfully installed a solar panel in his home before the arsonists lit their fires. It was late February when suspected Muslim Fulani herdsmen razed scores of villages in central Nigeria’s most Christian state. The contrast between one community modestly reaching for modern advancement, and another relying on medieval practices, could not be sharper. The northern Fulani tribe herds their cattle, traversing the length of a country the size of Texas, as their fathers have done for centuries – on foot. The only discernible change in this age-long practice is that many have traded their nomadic staffs for AK47s. As vectors of a jihad two centuries ago that shaped contemporary Islam in Nigeria, it is uncertain if the automatic rifles are for tending cows or a necessary jihadi upgrade. 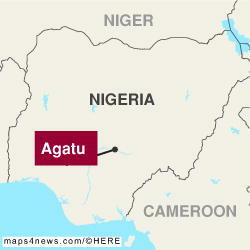 The Idoma people of Agatu till the land, as did their forbears for aeons. But schools have dotted the landscape, clinics and churches too, as they have embraced Christianity and Western education, turning away centuries before from Fulani Islamic jihad. Huts have turned to houses, and far more young people drift to cities to live and work than remain at home to farm. Yet Benue state in Nigeria’s middle belt, where Agatu is located, is the nation’s undisputed “Food Basket.” It provides food to both the north and the more educationally advanced south. But now it is the latest battleground in what former US ambassador John Campbell termed a looming “religious war”, and a situation the US Commission for international Religious Freedom warned had claimed as many lives as Boko Haram terrorists had killed in one period under review. “Religiously-related violence has led to more deaths in northern Nigeria than have Boko Haram attacks, said commission Chairwoman Katrina Lantos Swett in April 2013, following attacks by Fulani herdsmen. The parallels with Boko Haram – the world’s deadliest terror group – go further. Like Boko Haram, the Fulani are Muslim. Similarly, their victims are overwhelmingly Christians and non-Muslims. They cry “Allahu Akbar” (Allah is the greatest) during their attacks, and they leave atrocities in their wake. A tour of Benue’s state capital, Makurdi, shows exactly that – churches, homes, clinics destroyed from Fulani attacks in 2014. The Makurdi local-government chairman said a few students still congregate in a burnt-out school building, but most moved away to a neighbouring hamlet that doesn’t have a school. But researchers at the Self-Worth Development Initiative, a local Makurdi NGO, say the public doesn’t realise just how bad the devastation has been. Their research revealed that nine Local Government Areas in the state had been impacted in the 2014 attacks – 80 per cent of the Agatu Local Government Area, and for the Guma Local Government Area, 10 out of 10 wards. More than 50,000 people were displaced from Agatu, which represented about 10 per cent of the 430,000 people affected by attacks between 2011 and 2014 in Benue. These figures describe a humanitarian crisis akin to Boko Haram’s insurgency in the northeast. The striking hostility of the attackers toward churches, schools, homes and farms is another indication that the terror group and the nomads share similar methods and even a common ideology – except that the Fulani take no prisoners. But here is how the nomads are different, and possibly more problematic. They are a tribe and not a terror group. This means they can’t simply be outlawed and treated as a terrorist organisation. This also means government response has been muted compared to its declared war on Boko Haram. The Fulani attacks are also more brutal. Where Boko Haram would sort through victims to separate Muslims from Christians, women from men and children from adults, most often killing the latter and sparing the former, the nomads hack and burn babies, slash the bellies of pregnant women and generally leave a less methodical and more gruesome aftermath. Boko Haram seizes and occupies towns to administer them. The Fulani destroy communities and their cattle graze on the farms of those displaced or killed. Similarly, the Fulani operate in plain sight. They have a public organisation, the Miyette Allah association, that routinely issues press statements rationalising their attacks and even filing lawsuits in court. Generally, the theme of their defense is that their cattle were rustled. Justifying the present Agatu massacre, they claim 10,000 cows were killed by the locals. Yet, members of the first assessment mission said they saw no dead cows at all, and no-one has been arrested for that crime. Boko Haram, by contrast, remains a non-juridical entity, does not have a public presence, and does not participate in litigation. Nor does Boko Haram have the free reign that the Fulani have to travel all over Nigeria, and across West Africa. The herdsmen are found in several African countries, including some of those to which the Boko Haram insurgency has spread, and are able to move freely across national borders with their cattle and arms. A week after the recent attacks began, on 29 February, President Muhammadu Buhari ordered an investigation. On 17 March, the Nigerian Christian Elders Forum, a subset of the Christian Association of Nigeria, said Buhari’s actions were not living up to his words. Note: “LGA” is the acronym for Local Government Area, a subdivision of Nigerian state government. 8. Nov 20: 22 killed and lots of properties destroyed in an attack in Guma LGA. 35. Feb 29: 11 killed in Edugbeho, Agatu LGA, including a police inspector. 40. 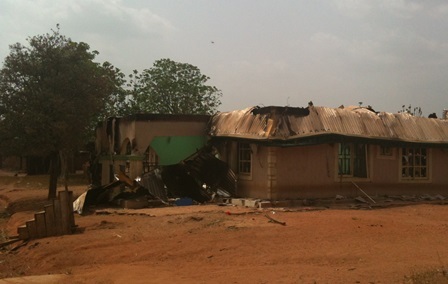 March 13: 6 killed in an attack on Tarkaa LGA.